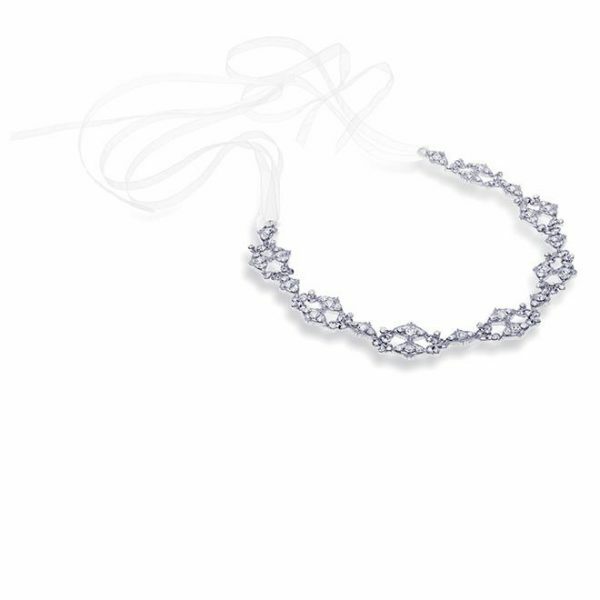 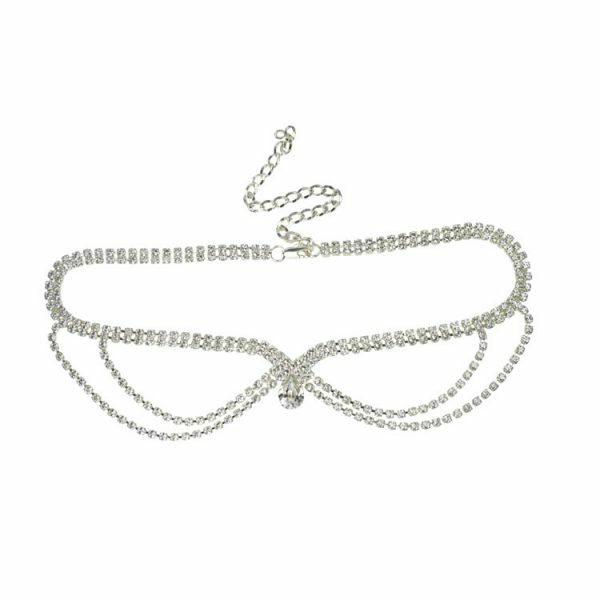 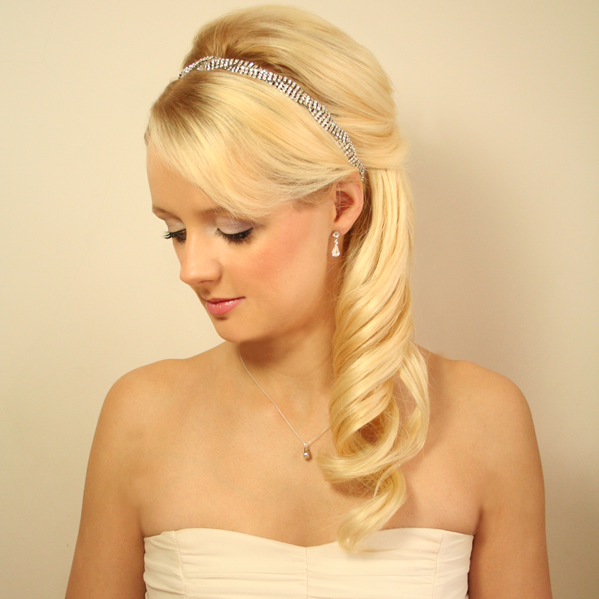 Athena – Crystal Shimmer Hair Vine from the Athena Collection. 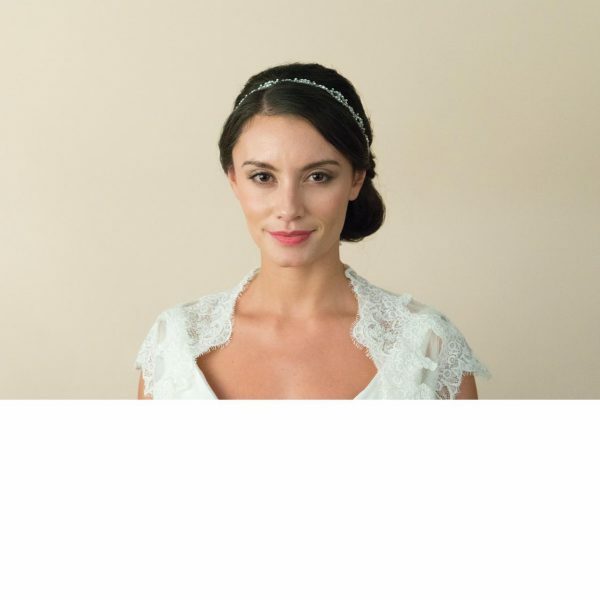 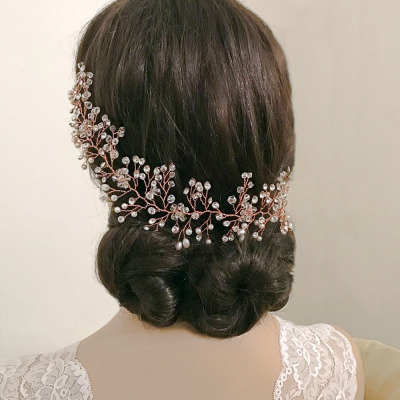 A stunning, chic and unique bridal hair vine. 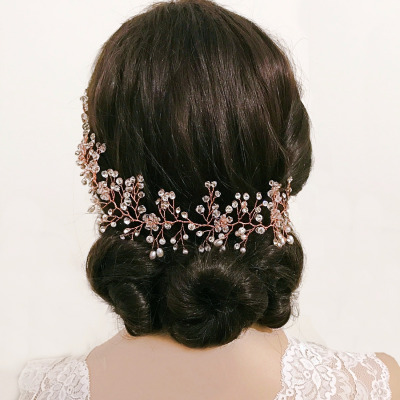 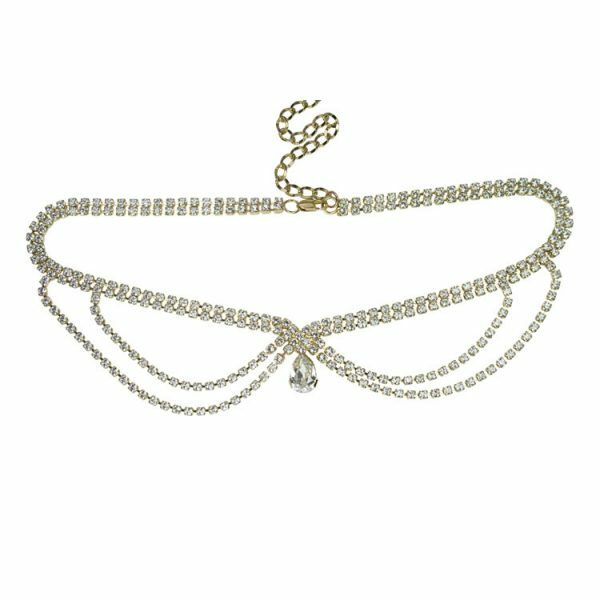 Embellished with sparkling crystals and ivory pearls on a flexible band with a Rose Gold finish. 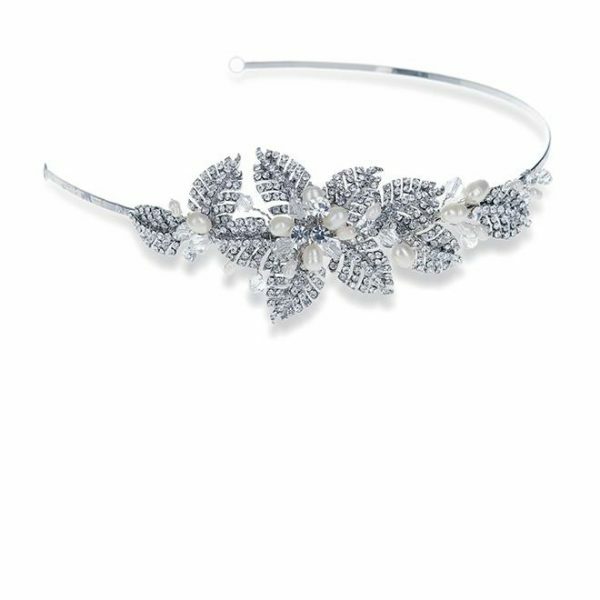 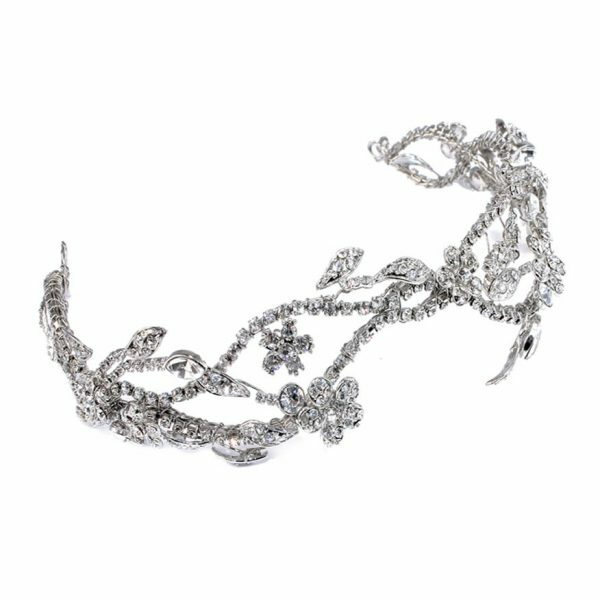 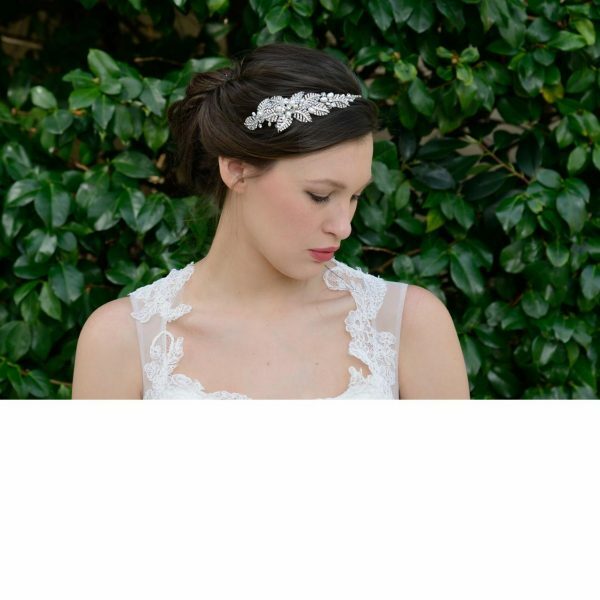 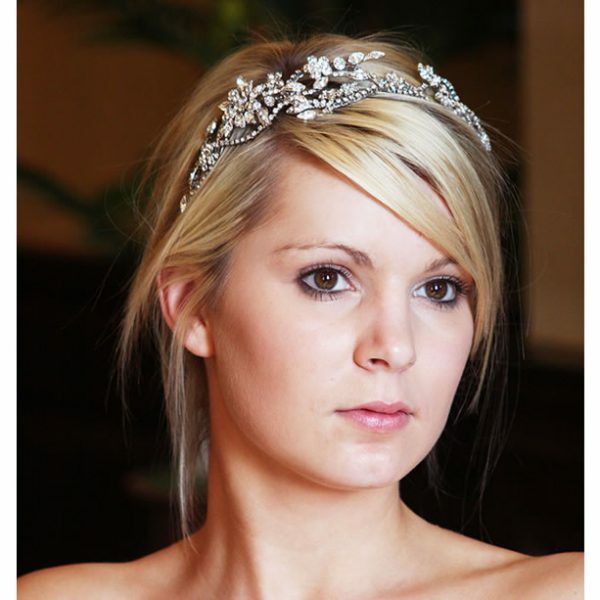 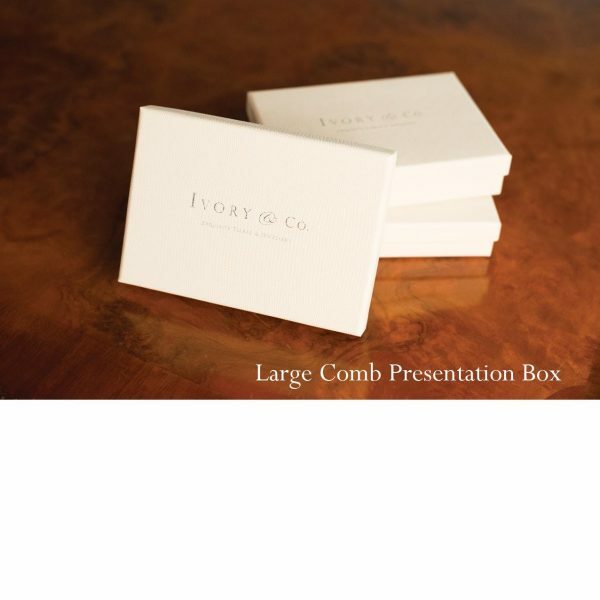 Total luxury in a bridal hair accessorie! 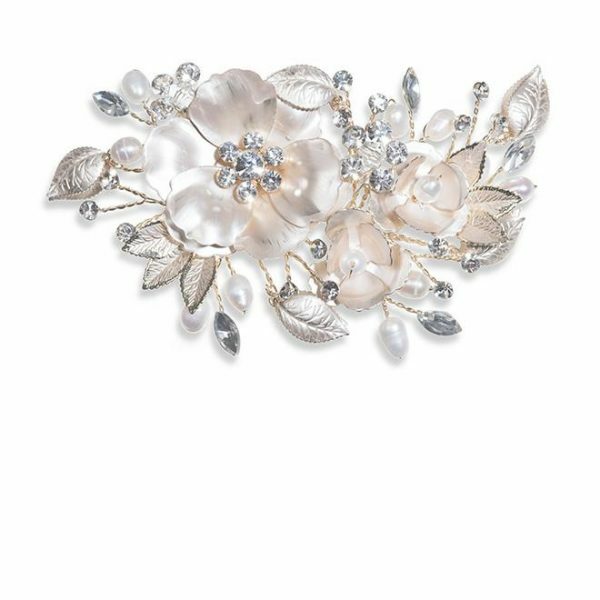 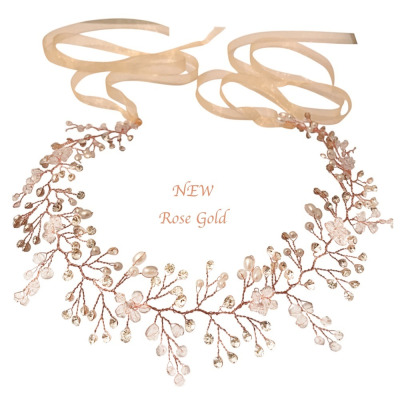 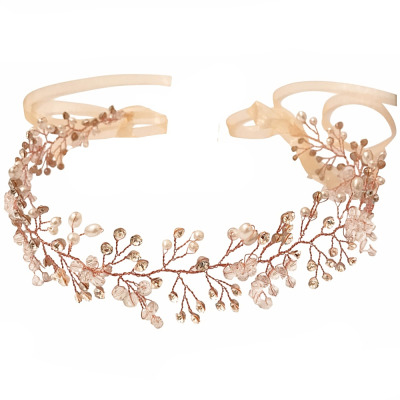 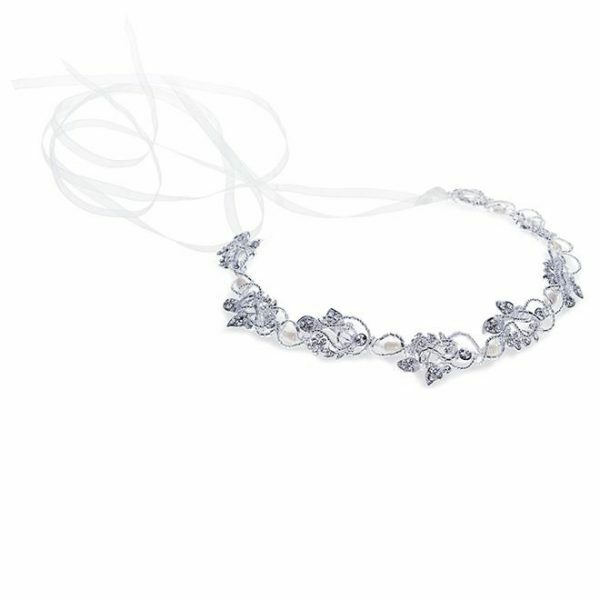 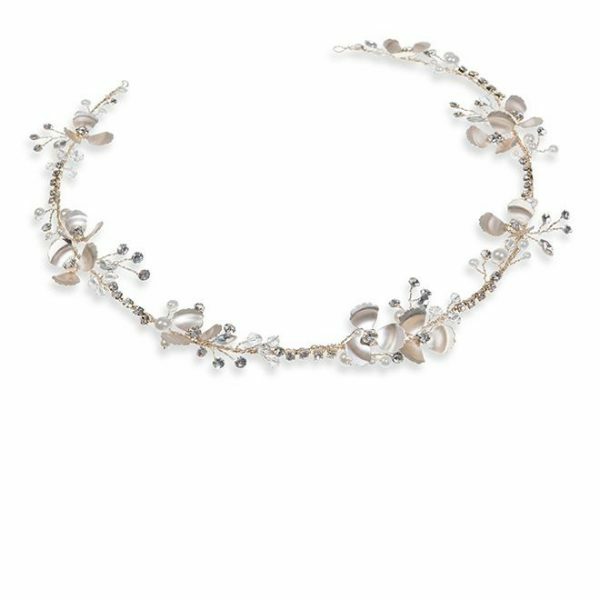 This pearl and crystal vine is a gorgeous piece with added luxury for a sparkly finishing touch – ideal for a destination style wedding look and perfect for that blush/pink wedding gown!.